The Oric-1 may have only had a short commercial life, but that didn’t stop a number of great games appearing on it. We’ve trawled its back catalogue in order to find its best ports and exclusives. How many did you get to play? Not to be confused with the Bitmap Brothers’ shoot-’em-up series, this is the first of IJK’s Xenon trilogy for the Oric. While the sequels (Zorgon’s Revenge and The Genesis Probe) were multi-game affairs, the first outing is a straight-up, balls-to-the-wall blaster that plunders Phoenix without apology. Programmer John Sinclair can be forgiven however, as Xenon1 stands out as one of the best versions of Phoenix ever released on any home computer. The graphics are large, colourful, and very well animated, whizzing around the screen with a fluidity not seen in many other arcade clones. Xenon1 was easily the best reason to buy a (sturdy) joystick for your Oric. This frantic platformer from Tansoft’s is one of the best-known and best-loved Oric games, and with good reason as it’s perhaps the finest pure arcade game available for the machine. The graphics are not great – the main character looks like the stickman’s ugly cousin – but the gameplay is ridiculously fun and fast-paced, as you run around a factory trying to flatten cheese-addled rodents with a mallet. To complicate matters there’s also a weird monster on the loose, which you must repel with a handy aerosol; having to switch quickly between your means of defence leads to many hair-raising moments. It’s completely mad, but a classic nonetheless. By the time John Marshall began work on his follow-up to Rat Splat, the UK Oric market was struggling and Tansoft was in trouble. The anticipated sequel was therefore shelved, but thanks to the sterling efforts of Oric User Monthly, the game was raised from the dead and released through the magazine’s software label, Mirage, in 1993. Not only was this the perfect present for faithful Oric fans, but it just happened to be a great little game too. Taking control of a boot, you have to jump around a hive, crushing bugs beneath your size nines. Like John’s earlier hit, the frenzied gameplay more than makes up for the lack of visual polish. Forget the cheap and cheerless Cascade 50 collection – if you wanted variety and spice on your Oric then Don’t Press The Letter Q was a far better choice. This overlooked gem caters for up to nine people and is a mini-game riot full of weird and wonderful mini-games. The challenges are all familiar as they’re mainly clones of Pac-Man, Space Invaders and other arcade classics, but thanks to some bizarre character sprites and genuinely funny quips from the CPU (it seems to revel in your ineptitude), Don’t Press The Letter Q plays more like a pastiche than a rip-off. Ocean’s cheeky Burger Time rip-off is superb fun and features lovely brash graphics, zappy sound effects and suitably fast gameplay. Playing as the Wimpy mascot, you have to first collect the ingredients and then assemble burgers while avoiding various kitchen nasties. It’s repetitive and frustrating but madly addictive. Like Hunchback, this version of Mr Wimpy is vastly superior to the Spectrum equivalent, a sign that the Oric was arguably better equipped to cope with fast, vibrant arcade games. What a shame then that this excellent little Oric platformer never received a sequel of any sort. 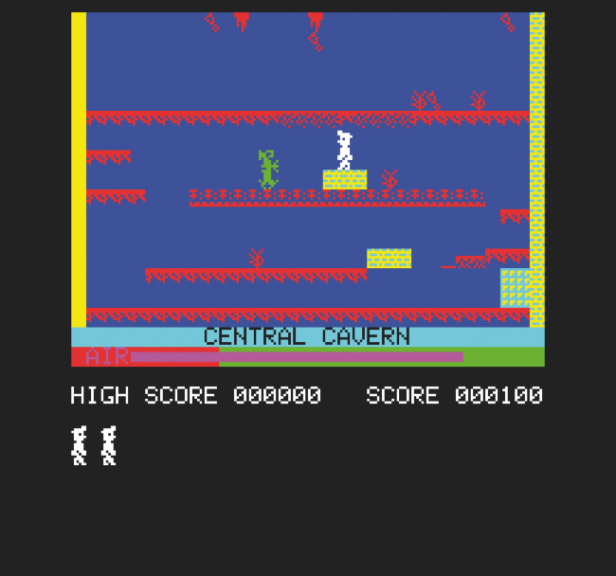 Despite a lack of support from established publishers, the Oric was lucky enough to receive its very own version of Matt Smith’s seminal platformer. The port was fairly ropey, suffering from horrible squashed-up graphics, but what it lacked in looks it more than made up for in content. The Oric version packed in an extra 12 screens, taking the total to 32 and turning an already daunting challenge into an endurance test of epic proportions. In the school playground those 12 extra screens gave Oric owners rounds of verbal ammo to fire back at their smirking Speccy-owning pals. Years before he created the masterful Another World on the Amiga, 17-year-old Eric Chahi honed his programming skills on the Oric’s clicky keyboard. He coded four commercial games for the French Oric market, with Doggy being the most accomplished by far. At first glance the game looks like the perfect program for kids, with a floppy-eared chien bounding about in a world awash with primary colours. But at its heart lies a fiendish arcade game as you attempt to guide your canine friend along a pathway littered with deadly traps and obstacles. Eric went on to better things, but Doggy is certainly not something he’d need to hide on his gaming CV. Text adventures are ten a penny on the humble Oric, but decent graphic adventures are far less common. The best example is easily L’Aigle D’Or (The Golden Eagle), a stunning French game released by Loriciels. From the moment the game loads you know you’re in for something very special. A picture of a creepy castle is seen, illuminated by occasional flashes of lightning. The atmosphere is carried into the game itself, as the castle interiors are depicted in pseudo 3D, with large high-resolution graphics. The main character is impressive too, and although he trundles about as if he’s wearing concrete boots, it won’t stop you from wanting to explore the castle’s – and the game’s – hidden depths. It’s almost as if someone has charged Jonathan Bristow (aka Twilighte) with single-handedly keeping the Oric software scene alive. Like all the best home-brew titles, his sporadic yet significant releases succeed in pushing the hardware to its limits while still delivering very playable games. Pulsoids is a bat-‘n’-ball game that builds on Arkanoid to the same extend that Arkanoid itself built on the original Breakout. In fact, if you compare the game to any of the early Breakout clones on the Oric you’ll find it difficult to believe that they’re running on the same hardware. The sound and graphics really are staggering. Visit Jonathan’s site at http://twilighte.oric.org for loads more good stuff. The Oric-1 wasn’t exactly blessed with the best keyboard, but this didn’t deter publishers from releasing dozens of text adventures for the machine. 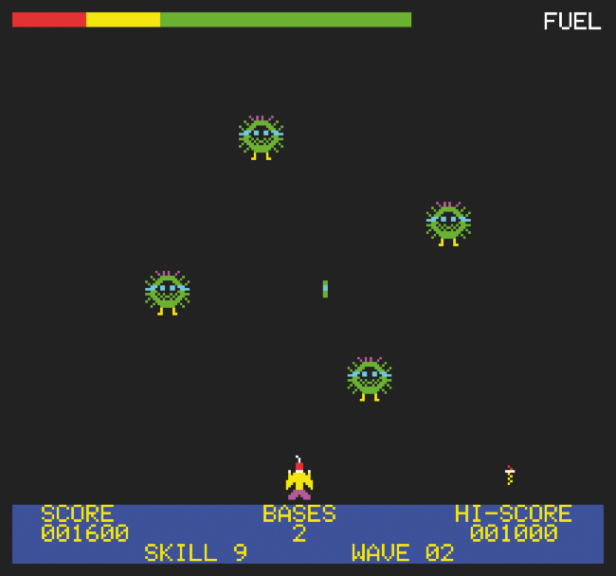 Level 9, the champions of the genre (in the UK at least), released its first five adventures for the Oric, the best of which is Snowball, a gripping sci-fi fantasy set aboard a deep space transport ship on a collision course with a planet. 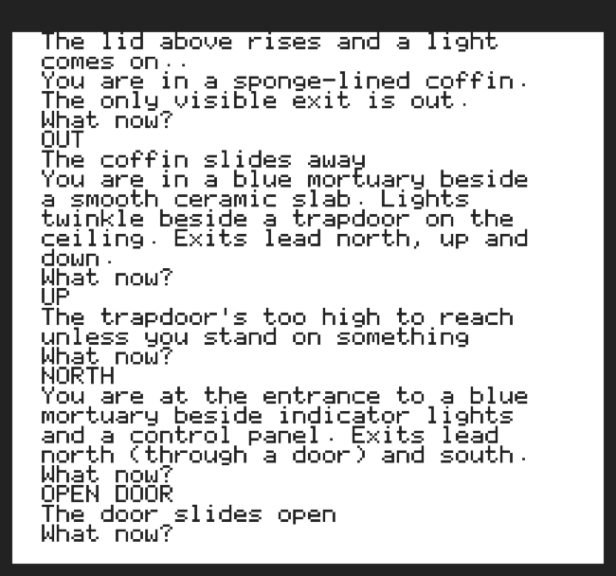 Snowball is text-only with no location graphics, but the strength of the descriptions, the sophistication of the puzzles and the sheer number of locations lifts it high above any fancy-pants graphic adventure. One for the purists.